You may have heard about how nice it is sailing through the Australian, Pacific or Atlantic waterways. No doubt there is a lot of diverse boating destinations in these places but how about a sailing holiday in Asia? If you do, welcome to Asia! With a coastline of about 62,800km, Asia promises a lot of beautiful beaches and picturesque boating hotspots for boaters, sailors and holiday goers alike. Why not schedule your next vacation and come to the largest continent in the world? As far as boating goes, you’ve got a whole lot of adventurous destinations to explore. Let’s see! You can begin your Asian sailing holiday from Thailand. Thailand boasts friendly people an outstanding cuisine and even more than a handful of some of the best boating destinations in Asia. You get to cruise and sail amid the beauty of limestone cliffs rising straight out of the sea. You get to see white and sandy beaches that are very inviting and beautiful. You can also hop off your boats into the lush forests and experience the beauty of nature. Exploring the Phang Nga Bay of Thailand promises you breathtaking views and an experience you’ll remember forever. From the Koh Kudu Yai with its forested limestone cliff towering above the waters, you still get to see the clear blue sky above making it seem like you’re right in the middle of a paradise. You can explore the Koh Phanak with a small boat. Here you’ll be welcomed by high limestone cliffs and overgrown lush vegetation. The Railey Beach Krabi, the Koh Hong, and the entirety of the Phang Nga Bay will no doubt excite most boaters making a strong case for Thailand as one of the best boating destinations in Asia. What is the first thing that comes to your mind at the mention of India? Elephants, tigers, jungles, or religion? You’re actually right but this diverse country is even more than these. India boasts a solid heritage as far as culture and ancient architecture is concerned. But there’s even more. The Indian coastline offers much more and is a pretty nice destination for your next sailing holiday in Asia. So, where do you start in India? Let’s go Kerala! Kerala is blessed with a whole lot of tourist attractions. There is an abundance of ancient but splendid royal palaces on the sidelines and the wildlife itself is adventurous as well. Here, you’ll find all sorts of houseboats with locals serving as guides. There is the Bekal Beach too. Charming and pleasant can’t even do enough justice to the beauty of this place. If you’ll like to explore Asia from India, Kerala is no doubt a nice spot to begin with. Welcome to Myanmar, formerly known as Burma. Situated north of Phuket, the Mergui Archipelago cluster of about 800 islands has carved a name for itself as one of the best destinations for a sailing holiday in Asia. The jungle greens and dense wildlife, lots of natural harbors, and easy anchorage have earned Myanmar a spot on this list of the best boating destinations in Asia. If you’ll love to go on a diving expedition, the sea life here is superb. You get to see a bunch of uncommon tropical fish and a host of other opportunities to explore which will make your vacation worth the while. Indonesia certainly deserves its place among the best boating destinations in Asia. The Indonesia archipelago is no doubt a sailor’s delight. You get to enjoy over a vast number of cruising grounds. The islands here, the waters, and the untouched coral reefs are teeming with life. You can choose to sail around Flores or Lombok. Both of these spots are quite amazing if you’d like some surfing, diving, or snorkeling. You can also sail to Sumatra or head over to Komodo, home of the famous Komodo dragons. Vietnam is home to two iconic spots that can easily pass for the best boating destinations in Asia. The Nha Trang is the most popular beach in Vietnam and a lot of holiday goers prefer to go sailing here. From here, you can also wander out, visiting the islands Mun, Mieu, Tam, and Mot. You can snorkel and fish along the banks of the beautiful white sandy beaches here. Halong Bay is another great boating destination if you’re all for a sailing or boating holiday in Asia. This archipelago boasts of ethereal karst limestone islands. If boating in Asia is on your bucket list, here you’ll get a breathtaking backdrop on your trip, great experiences and memories that you’ll want to relive again and again. The Andaman and Nicobar Islands is slightly different from your average holiday destination. These archipelagos lie in the remotest part of the Bay of Bengal. Except for the presence of cruise ships passing by, the Andaman and Nicobar Islands remain largely untouched and undisturbed. The islands are great for fishing and diving if these are part of your plans. We are not about to end our review of the best boating destinations about a mention of one or two of the very impressive cruising grounds in Malaysia. Langkawi is one of the best destinations if you’re planning a boating holiday in Asia. The coastline here is characterised by beautiful scenery and sandy beaches and warm waters. Still, in Malaysia, the city of Kota Kinabalu is another place you’ll want to see. KK is a coastal city partially surrounded by rainforest. You get to enjoy beautiful scenery from beaches to a host of other landmarks. You can visit the Kota Kinabalu City Mosque if you’d like to see what a waterfront mosque looks like. From here, you can also go to the Kinabalu National Park to see the more than 4000-meter high Mount Kinabalu. Either way, you’ve got a whole lot of fun on your hands. The Asian and tropical waterways are in many ways comparable to their counterparts in Europe and the Americas with their beauty and diversity so there’s more than enough to excite and entertain you. It’s safe to say you can’t get enough of these beautiful cruising and boating grounds in Asia and the tropics because there’s literally an immense area lot to explore. The Asian and tropics of Asia promise enough fun and incredible memories for boating holidays of a lifetime. So, how do you plan to sail through Asia for your next holiday? 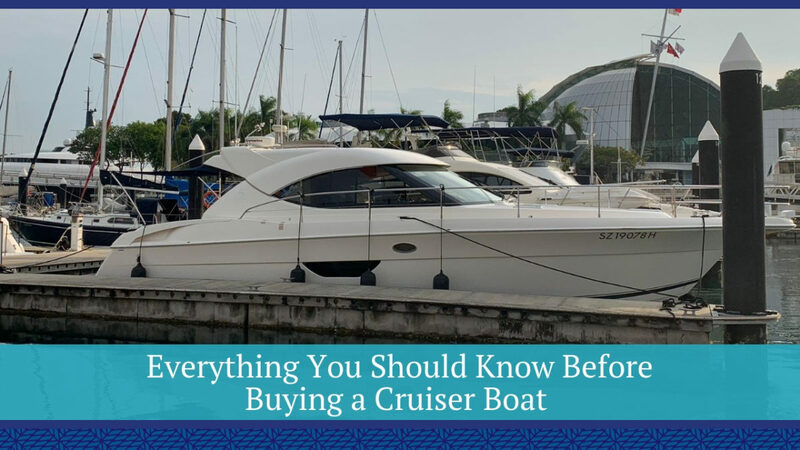 While many people prefer to charter boats and yachts for their Asia boating adventures, a lot of others also prefer to buy their own boats for their holidays in Asia. While some ship their new boat over to their home destinations after the holidays, some prefer to leave it behind at one of the many excellent marinas in Asia, so they can come back to it anytime and continue their boating adventures. If you’re all for buying your own boat, why not hit us up at BASCO Boat Advisory Services to help make your dreams come true? We love adventures too and will be glad to help with your plans. Take a look at our ‘Nearly New Collection’ for sale by Online Boat Auction shortly. This is a quite unique lineup of boats that still smell like new. Due to factors such as their incredibly low engine hours, never been slept in, galley never been use or anchor only dropped twice, take a closer look at how you can make your boating holiday in Asia come true with these nearly new boats for sale now.